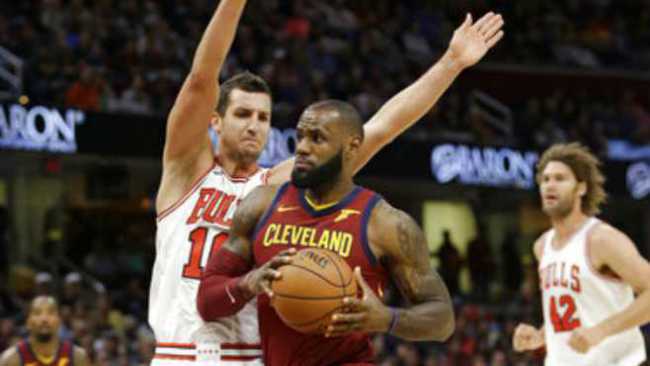 CHICAGO– The longest road trip of the season finally comes to an end, as the Cavaliers topped the Chicago Bulls on Saturday night, 114-109. The Cavs had a comfortable 17-point lead at halftime, but hot shooting from Chicago’s Denzel Valentine led to the Bulls clawing to within four points at the end of the third quarter. In the fourth quarter, Chicago managed to tie the game with 4:13 remaining on a 3 from Valentine. LeBron James, however, took the game into his hands at that point to help secure the win, en route to his 15th triple-double of the year with 33 points, 12 rebounds, and 12 assists. For the Cavs, Jeff Green also dropped 21, Jordan Clarkson had 19 and Ante Zizic added 14.